At the Rose, Katie worked on the County Election Questionnaire, Southern California Almanac, Kosmont, and Three Strikes Projects. Outside of the Rose, she played for the CMS lacrosse team and volunteered at local schools through the Center for Civic Engagement. Katie spent the summer of 2017 in our nation’s capital interning for the Senate Finance Committee, and looks forward to returning to Washington, D.C. Katie was the recipient of the George Blair Award for State and Local Government. In high school, Brian was involved with a variety of clubs and played for the varsity football and baseball teams. Prior to working at the Rose, he served as a fellow for the Fred Duval for Governor of Arizona campaign. 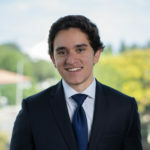 Brian worked as a Summer Analyst at Aspiration Investments, a LA-based company at the intersection of finance and technology. He spent the fall 2016 semester in Granada, Spain. While at the Rose, Ellen managed communication, analyzed the California Voting Rights Act, reported for Video Voter, and assisted with all sorts of odd jobs in between. 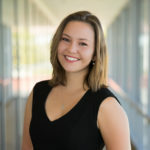 As associate student manager, Ellen was dedicated to fostering a strong sense of community among Rose research assistants driven by collaborative research, and dynamic and interesting work. 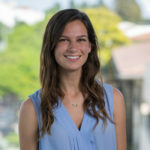 Ellen interned domestically at NextGen America, C-SPAN, the National Security Archive, and Erickson & Co, and internationally at the High Atlas Foundation in Marrakech, Morocco. She has been inducted into Phi Beta Kappa. Melissa found her love of public policy by competing on her high school competitive civics team and was thrilled to work at the Rose Institute as the Student Manager in her senior year. 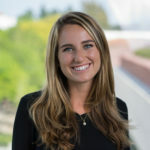 Particularly passionate about constitutional law and political theory,she held internships at the California Governor’s Office, Bipartisan Policy Center, Global Public Policy Institute, and the Supreme Court of the United States in the Office of the Counselor to the Chief Justice. Melissa has been inducted into Phi Bet Kappa and is the recipient of a Fulbright Scholarship to Germany for 2018-2019. At the Rose, Shivani managed ArcGIS training and projects, and filled other tech needs. On campus, Shivani ran a podcast called Free Food (for Thought). 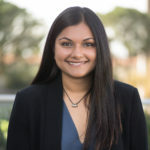 In her free time, Shivani enjoyed watching her beloved Packers win, read books about World War II, and watched anything created by Joss Whedon and Aaron Sorkin. 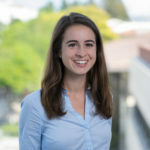 She spent the summer of 2016 as an intern for the Center for Strategic and International Studies (CSIS) in Washington, D.C.
At the Rose Institute, she researched demographic data through the Southern California Almanac and published papers on primary elections. On campus she was involved in the Associated Students of Claremont McKenna College Senate. 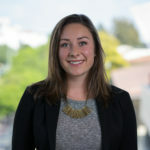 At the Rose, Kate managed a project examining campaign finance trends in California legislature elections and worked on the Miller-Rose Initiative Database. Outside of her Rose work, Kate was president of CMC’s Model UN team and worked on the student run podcast Free Food (for Thought). She intends to pursue a law degree and a career in public policy, focusing on campaign finance reform and government ethics. Kate spent summer 2017 in Washington D.C. working as a Policy Fellow for K&L Gates, a global law firm and lobbying practice. Wes became interested in local government while covering his school board for his high school newspaper. At the Rose Institute, Wesley worked on projects tracking trends in incarceration, videos describing ballot initiatives, and opinions of county election officials towards ballot access and security. 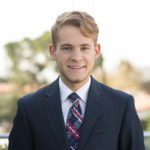 Wes worked as a Legislative intern for the League of Women Voters of California, where he analyzed bills, testified before committees, and researched publicly financed campaign systems. Wesley also worked as a fellow at the Marian Miner Cook Athenaeum in his senior year.